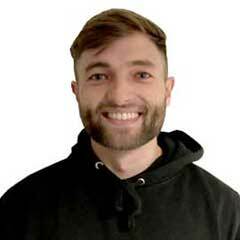 As a Strength and Conditioning Coach specialising in Powerlifting and Olympic Weightlifting, Aaron (www.abspersonaltraining.com) excels in the field of strength training and prides himself in getting results for his clients. Currently delivering Weightlifting sessions to Seevic College and having previously operated for Thurrock Rugby Club Women’s team and Billericay Rugby Club, he is known for his passion in strength and conditioning, as well as his no nonsense approach when it comes to achieving someone’s true potential. Aaron’s services are next to none. In fact, Aaron is so confident that his training systems work, that if you can follow everything he asks, he GUARANTEES you success! Brogan has just completed a degree in sports science and is currently furthering his knowledge by completing a master’s degree in strength and conditioning science. Over the course of these degrees Brogan has worked with a variety of exercise experience levels, athletes, training goals and unique specialised issues leading into a competition. His coaching philosophy is “the best training, is the training you do”. It’s no good having the best programme on earth if it’s boring and you’re not a hundred percent committed to the process. It’s about finding a balance between what works and what you enjoy to maximize your results. This, along with a key interest in nutrition, Brogan and Fit Performance have the tools you need to be your best self and achieve your goals! 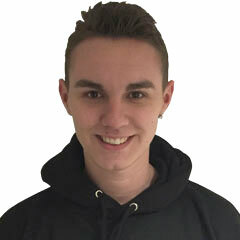 As a Strength and Conditioning Coach with his degree in Sport and Exercise science, David has worked with a variety of athletes with his main focus in swimming, tennis and powerlifting. He prides himself on effectively enhancing an athlete’s performance with his own training methodologies. 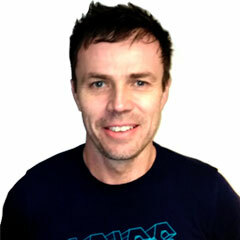 Rob brings more than 15 years’ experience as a strength and conditioning coach in elite athletics. For 6 years Rob was the England Athletics National Coach Mentor for Physical Preparation where he coached and supported athletes through the 2012 and 2016 Olympic Games. He has also worked with professional rugby and squash players to ensure they move better, develop more strength and reduce the potential for injury. 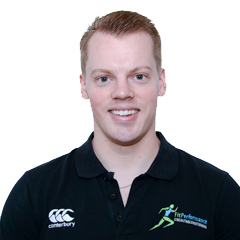 He has deep interest in biomechanics which he studied during his sports science degree at Brunel University. Achieving movement excellence is central to Rob’s coaching philosophy and he applies this to all clients, whether they are training to be an elite sports performer or improve health and well being. Rob is confident that his coaching methods will take an athlete further down the performance continuum and transfer to specific sports skills. He has a particular interest in velocity based methods such as Olympic Lifting, Plyometrics (jumping), medicine ball throwing and work with power bands. Rob is also experienced at working collaboratively with physios and osteopaths to provide rehabilitation solutions and return to play. In part this comes out of his skills in sports massage therapy where he holds a level 3 and has attended additional workshops during his time in Athletics. For 12 years Rob was an elite level Pole Vaulter and competed at events in America, France and Holland. He’s a little bit crazy!